This map shows the development of Bexleyheath in the Edwardian and inter-war periods. 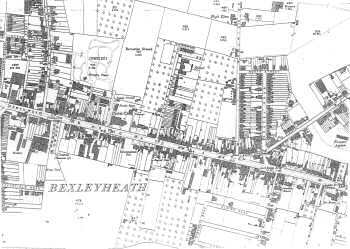 New houses were erected south of the Broadway on Oaklands Road, Highland Road and Albion Road. A new feature, the Clock Tower, has appeared in the Market Place, commemorating the coronation of King George V.